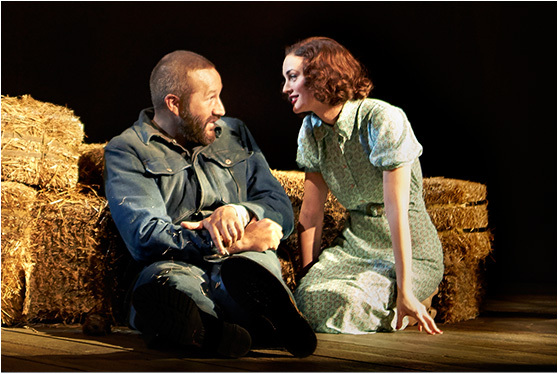 The hit Broadway production of Of Mice and Men may have closed, but James Franco and Chris O’Dowd playing iconic ranchhands George and Lennie will live on forever, as National Theatre Live has announced plans to film and internationally broadcast the Anna D. Shapiro-directed revival. Of Mice and Men—which also stars Gossip Girl alum Leighton Meester, True Blood alum Jim Parrack, and stage veteran Jim Norton—will be the first Broadway show filmed by the company. Screening dates will be announced later this year. National Theatre Live’s M.O. is to film productions—typically the starrier, more memorable ones based in the UK—and screen them in cinemas and on digital platforms. The company began in June 2009, broadcasting Helen Mirren’s Phedre, and has since preserved War Horse, Benedict Cumberbatch and Johnny Lee Miller in Frankenstein, and Tom Hiddleston’s Coriolanus, among dozens of others. 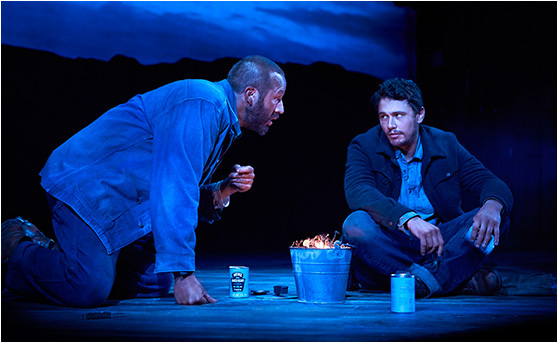 Of Mice and Men opened on Broadway at the Longacre Theatre on April 16, 2014, and became the first production of the spring to recoup its full investment after twelve weeks.